© The Trustees of the British Museum (2012). All rights reserved. 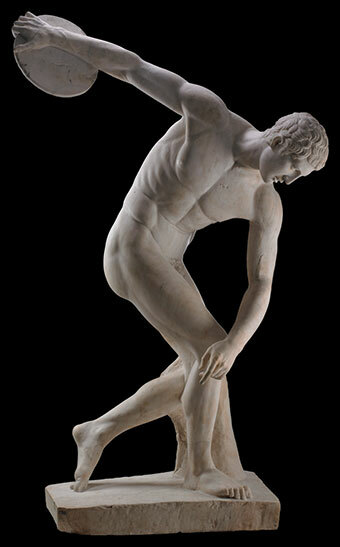 Don’t miss this rare opportunity to experience the thrill of The Body Beautiful in Ancient Greece. The exhibition features more than 120 priceless objects from the British Museum’s famed collection of Greek and Roman art. Iconic marble and bronze sculptures, vessels, funerary objects, and jewelry are among the treasures that explore the human form, some dating back to the second millennium BC. Make your plans now to see The Body Beautiful. London’s British Museum is one of the oldest and most celebrated museums in the world with a collection of more than seven million objects exploring human history and culture from its beginnings to the present. This exhibition has been made possible through the collaboration of the British Museum and Portland Art Museum.